12 years after my last visit, I was fortunate to see the temple under a full moon - again! 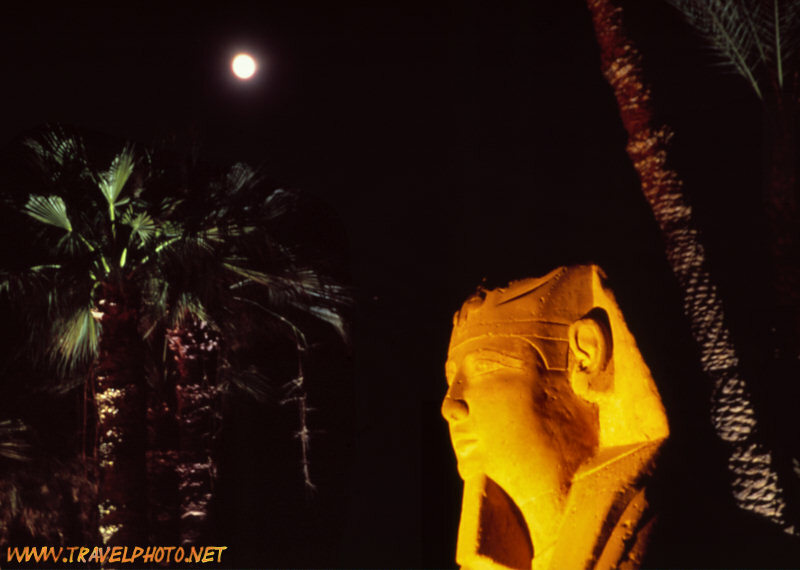 This is one of the sphinxes that belonged to the avenue of sphinxes that once connected Luxor temple and Karnak. Today, only small parts of this avenue are visible, - it must have been wonderful when it was still 3 km long! The head looks very much like the head of Ramesses II at the front Pylon, that I photographed twelve years ago. click to see a larger version of the photo.